In this post, I will be giving you a thorough and honest review of Bluehost Web Hosting platform. Bluehost is one of the most popular web hosting solutions on the market. Founded in 2003 and based in Orem, Utah and powering over 2 million websites all over the world, Bluehost is an innovator in the industry. What’s so wonderful about Bluehost is they are partnered with WordPress.org. Web hosting starts at $2.95/month, 24-7 support, and a 30-day money back guarantee. Bluehost also has a reseller program where you can make your own web hosting business at a flat rate of 50% off! With the ability to host unlimited email accounts communication will never be an issued. Bluehost ensures the security of your site with two-factor authentications for your cpanel (control panel), SSL, and daily, weekly, and monthly backups of your sites. The only downside to Bluehost is that there are various price plans and products which could get a little overwhelming for a new consumer. Bluehost is for anyone who has a website or domain. Their hosting is for individuals as well as for commercial use. Regardless if you have a personal blog, small business, or a large corporation Bluehost can support all situations. Either you can use Bluehost to host your domains/websites for your current business or you start a business selling Bluehost’s product. Bluehost has an awesome blog with various tools for your success. There are tons of articles, videos, and trending topics with step-by-step instructions on how to complete specific tasks. Within the Bluehost blog, there are 6 categories: WordPress, Small Business, SEO, Blogging, Bluehost News, and Web Hosting. There are breakdowns and details of the different products to help you determine which product best fits your needs. Bluehost has a vast support knowledge base filled with articles, how-tos, guides, instructions, and an FAQ (Frequently Asked Questions) section to support their clients. When you enter the support forum the first thing that you see is a search bar. This is pretty awesome, it’s always convenient when you can just type in your question and get the answer without having to dig around the website. The next support section is their education resources with articles about email, login management, domain names, and billing preferences. There is also a contact us section on the bottom of the support section so that you can directly link with support. There are subheadings under specific topics to get more details I will list them below. FAQ – Hosting prices, setup email client, server status, and many more. When you select more, you are redirected to the knowledge base with 51 FAQ results on many different topics. 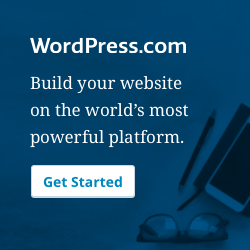 WordPress – How to install WordPress, how to reset your password, how to transfer or migrate, how to change a theme, white screen of death and many more. There is an unlimited list of help topics for virtually any issue or question that you may have about WordPress. Email – Create an account, manage your accounts, set up and email client, protect against spam, setup forwarders, and more. When you click on the more tab in the email section there is a total of 207 results of virtually anything that you can come across when dealing with email issues. Domains – How to assign a domain name, how to transfer your domain name to Bluehost, how to register a new domain name, Bluehost’s name servers, how to change a DNS record, and more. When you select more, you are directed to over 71 results for domain topics. Account – Renew your hosting account, managing renewal options, reset your account password, update credit card, and more. When you click on more you are redirected to the search results with over 44 billing topics. Control Panel – Restore files, backup files, create an FTP account, and more. When you select more, you are redirected to the knowledge base with 296 cpanel topic results. So, it seems that when you are in the support section there are different ways that you can navigate to get the answers to various topics. There is also a blog and a live chat in addition to the knowledge base and FAQ’s. You are not short on resources in the Bluehost platform. Bluehost’s prices vary depending on your specific needs and can fit into any budget. Their prices range from $2.95/month to $119.99/month. Below I have put together all the prices for their different products. Bluehost also sells domains at a reasonable price. The prices vary depending on the extensions that you are purchasing. I have compiled the prices and extensions in the table below for you. Bluehost is an awesome web hosting platform powering over 2 million websites worldwide so they are definitely doing something right. I highly recommend this hosting service. They are partnered with WordPress, which is the platform that I use for my domains, is the most commonly used CMS in the world. To find out more about WordPress check out my review by clicking here. This integration makes Bluehost a very user-friendly interface to manage. In short, the prices are right, and the products are suited for any size business. The support forum is out of this world. Bluehost is a legit product and I highly recommend it. If you have any further questions or comments, please feel free to leave them below. I have been considering the option of getting a Bluehost hosting for my site. But I see the pricing plans are getting quite overwhelming for me. I have been told by many folks that NameCheap is the best way to go with because it offers far more than Bluehost does. What would you advise me to do? I would really use your advice. Thanks in advance. Thank you for taking the time to read my article and leave a comment. Bluehost hosting has many different plans which are affordable it just depends on what you are looking for. There plans start off at $2.95, however, I would go with the Prime Shared Hosting plan for $5.95 a month if you use Bluehost. NameCheap is a very popular option as well and they have a special right now for professional hosting starting at $1.66/month which is about $19.88/yr. If cost is your main focus I would go with NameCheap out of the 2. However, I still think Wealthy Affiliate is the best option because membership includes all your support, emails, training, and hosting. If you have any further questions feel free to ask. Thanks again for visiting. I have a project that I want to work on and I need a good web hosting. Someone told me that I should Bluehost and decided to know more about it before I get into it. My question is, which payment plan would work best for a website I want to build for membership based on betting. It is going to be a big thing and would want to have everything going right. Waiting for your help. Thanks. Hello Dave. I apologize for the delay. Bluehost is an awesome web hosting platform with loads of options to fit any need or budget. Since your project is going to be big and sounds like you will be dealing with money you will want your site to be secure and fast. I would recommend shared hosting if you are not very confident in your technology skills and your budget for hosting is limited. I would recommend dedicated hosting if you have a large budget, technical skills to manage a server, very high traffic. If you want more clarification on shared hosting vs dedicated hosting click here. Personally, I think that shared hosting is sufficient but only you know the exact details of your business. If you decide on shared hosting I think the best plan is the Pro for $13.95/month. It includes all unlimited websites/domains, a dedicated IP, SSL Certificate and more. Thank you for taking the time to read the article and I hope this helps. If you have any further questions feel free to ask. Good to know Bluehost web hosting exist i am doing my best to make all ends meet. however my question is what is the percentage i will get after getting/selected a product? And is it possible work simultaneously Wealthy Affiliate? Hello Otis. Bluehost web hosting is very affordable and is a great value so if your budget is not very big I believe it would work for you. Bluehost web hosting is not necessary if you are a Wealthy Affiliate member because Wealthy Affiliate memberships include web hosting. That is one of the many benefits of Wealthy Affiliate. I am not sure I am understanding your question about what percentage you will get. If you can clarify that I would appreciate it.